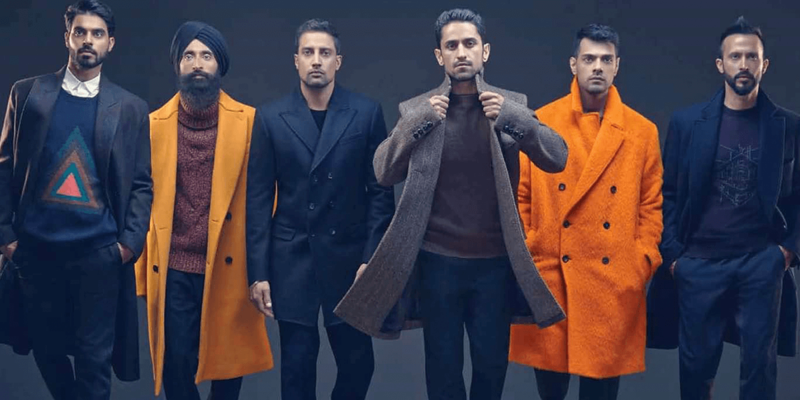 When Ali Kazmi took a leap of faith to marry his sweetheart and move from Pakistan to Canada at the peak of his career, nobody could have foreseen the journey he was truly embarking upon. This leap of faith not only kept him close to his beloved; it also gave us a story of determination and perseverance that had the son of Rahat and Sahira Kazmi going door-to-door, carving out a space for himself in a country where his name meant very little. What drove him? Sheer belief in himself, and the determination and support of his family. Ali Kazmi has starred in Rohit Jugraj Chauhan’s Sardaar Ji (2015), Deepa Mehta’s Beeba Boys (2015) and Dependables by Sidney J. Fury, along with many Pakistani TV serials. He won Best Actor in a Short Film at the World Music & Independent Film Festival 2016 for Coffee at Laundromat (2015). As we speak to him, he is involved in Liam Neeson’s TV series, Taken, starring in the upcoming Dobara Phir Se (2016) and the animated Angelina-Jolie production, The Breadwinner (2017). Ali Kazmi has appeared in Sardaar Ji (2015), Beeba Boys (2015), Dependables, Coffee at Laundromat (2015), Taken (TV Series), Dobara Phir Se (2016), and The Breadwinner (2017). FUCHSIA: We hear that after you graduated from film school in Canada, you were a sales representative at clothing retailer Hollister, while auditioning for roles. Did you wonder what you were truly doing … ? Ali Kazmi: I went to Square One Mall in Mississauga, like a desi central with many Pakistanis, and set up the booth (for Hollister). We were all young actors that had been put into this (sales) thing. So, I spoke into the mic, and around 200 people showed up. The other actors with me were shocked. They were like “You weren’t kidding; you were a star back home!” And then I went through my whole presentation; it was like the toughest theatre performance of my life. All these people staring and thinking that “Kya yeh voh hai?” … Facing those judging eyes was the toughest. After I finished the presentation, people came and took selfies with me and I signed autographs, and they were like “Ali bhai, what are you doing here? Is this a shooting?” I told them the truth, and they started giving me cards of their family members who owned cab companies or were real estate agents. So that day, I took that board down and decided I can’t do this. The dreamer who didn’t just dream. And how did you break through? I went for an audition at a studio for short films, and I knew I got it so I was walking out happily when I saw a poster for “The Indian wants the Bronx.” I knew the play, and I felt something. It was one of those moments … when life gives you a choice, and God shows you the path. If I was ever to believe in fate, that was it. I had already gotten a gig; I could’ve left it at that and gone home. But something told me I needed to go for this. There were these 50, 55-year-old people there. My name wasn’t on the list but luckily the producer said “okay, come on in.” I went in, they gave me the script, there were these 3 white guys in front of me. I performed and they gave me a standing ovation and said “Where have you been? We haven’t seen you.” But they said that the role was for an older guy, and said they’d be in touch, so I thanked them and left. Literally, within a week, I got an email saying I was the best they had, and they hoped I would still do it. I said yes, of course. It was for one of the biggest festivals in Canada, showcasing young talent. For the first 3 days, we were half-full, but because we got 5-stars and 4-stars from reviews, and I got special mention, for the last seven days, we were full. On the last day, the man who is now my agent, came to watch the play, (in which) I was speaking broken English and Urdu. He didn’t know how to communicate with me because he thought that’s how I spoke. He’s been my agent now for 7 years; he got the ball rolling for me. Ali Kazmi attends the ‘Beeba Boys’ premiere during the 2015 Toronto International Film Festival at Roy Thomson Hall in Toronto, Canada. 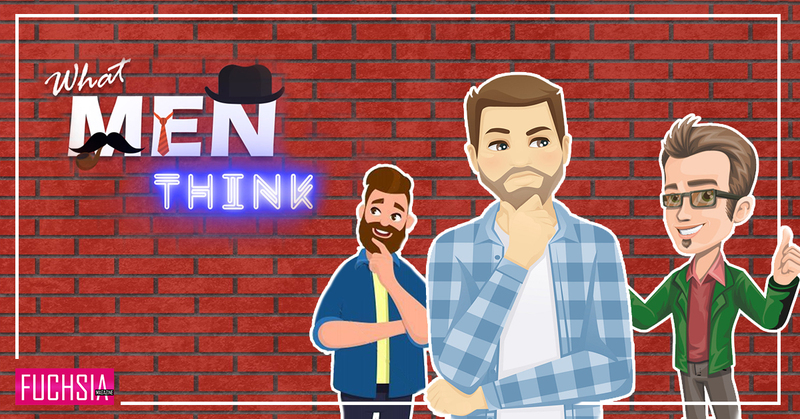 Was it scary – getting involved with big international names like Angelina Jolie and Liam Neeson? All of them are like professional, superb actors that have been in so many shows; they have so much more experience than me. Initially it makes you nervous; but then everybody is so relaxed, professional and so much fun. There’s no ego; everybody wants to rehearse and they want the best out of it, and they let you bring out the best in you as well. I do miss the desi touch because, sometimes, I just want to break out in Urdu. But I am happy to place my foot in both East and West because I get my fix working at both. And also, they give you your own trailer, that doesn’t hurt! 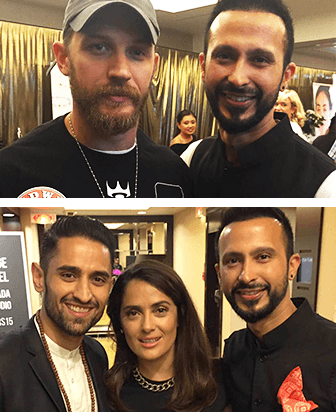 Ali Kazmi with Tom Hardy (top) and Salma Hayek (bottom). 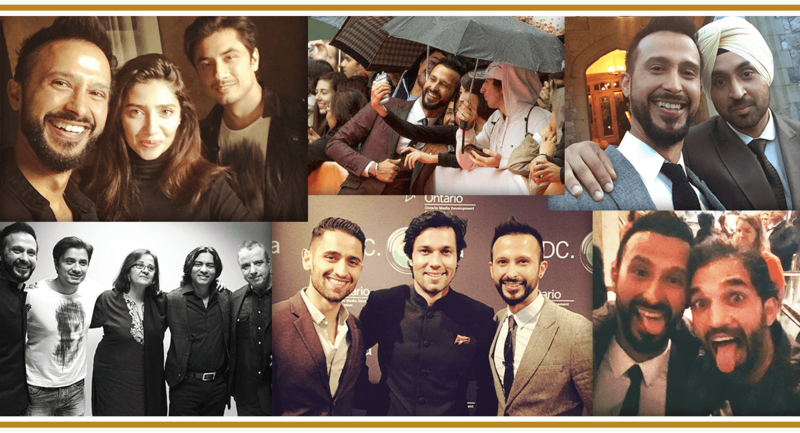 What does the Pakistani entertainment industry have to learn from the West? I like the specialization; people take their jobs very seriously, and that is what I appreciate here in the West. Like that guy, who he comes in at 5am to plug in those wires and does it efficiently, then sits waiting for the director to tell him what to do next. That is amazing … he’s there with a smile doing that job, day-in-day-out. And it’s not like he started out doing this – he’s been to film school as well, and done so many things. So, doing their jobs so efficiently without complaining, even with a certain amount of credentials … is something we can learn from them. 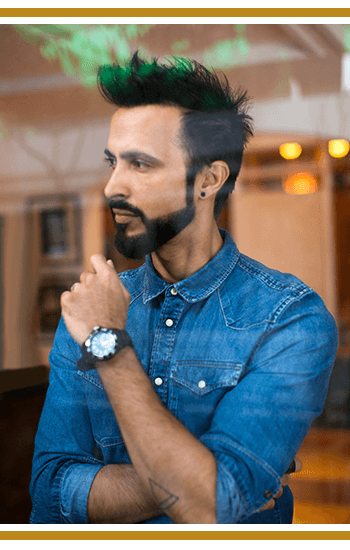 Does an agent help someone like an Ali Kazmi – do you even still need to audition? Mostly, like all the big stuff, for example NBC, will not see just a random person or look at a random application. They go through an agency, some criteria … so that is quite crucial. There was no concept of agents back in the 90s in Pakistan, but now there is. With an agent, after a while, you start to get to know of things. I still audition for things but, thank God, I also get offered things. For example, The Dependables, the director directly told my agent that he wanted to meet me; I did not need to audition for him. So, that starts happening after a while, but most of the things, you do have to audition. Like, even Priyanka Chopra had to audition for her big thing. You do have to audition, that’s important. They’re interested in you but they still have to like seeing what you can do. Does Ali Kazmi, the actor, set goals to achieve as clear milestones in his career, or does he take things as they come? My goal was always to be the best actor I can be, and to enjoy the journey, not worry about the destination. But as one matures and evolves, so do one’s ambitions, dreams and goals; and I feel especially since I’m a family guy now, I do think more about milestones. The beauty, and yes the beast, within the arts is that there is a lot of unpredictability and instability. In today’s competitive era, where (the arts) has become a professional business, one must plan as best one can; because there will be strange speed bumps at inopportune times. So, the artist in me wants to have the universe decide, but the family man needs to plan for the bumps – it’s a precarious balance. Being in the arts is never as glamorous as it seems. Always being positive and having a thick skin helps. Going back, if there was one thing you could change, what would it be? I would change nothing, as I believe in never having regrets. We have one life to live, you must live it to the max. If I did have a chance, though, I would like to have travelled the world earlier in life, and studied film more, and slept more. Hopefully there’s still time. We had spoken enough about the heres and the theres. We wanted to hear about Dobara Phir Se. The Cast of Dopara Phir Se (2016). Tell us your best moments, or favourite things from DPS? Best moments were the hangout-brainstorm sessions after wrap-up. Mehreen Jabbar’s magic worked in bringing together a team of like-minded people who could sit together and talk about work and life and film, which seldom happens. The DPS cast and crew were a mix of Americans and Pakistanis, and truly like family. It was a fun, amazing ride that everyone wanted to bring to the big screen together. One of the things that me and Adeel enjoyed a lot was our bromance, because that happens very seldom these days in films. You don’t really get to enjoy the boy dosti. My favourite dialogue would be, “Aray dabbay, road trip hijack ho chuka hai.” One of the worst moments was falling off a horse which galloped off during a scene. (laughs) Hurt for days, but had to power through. Also, seeing Adeel get hit in the head with a football was quite fun. I want to take a moment and salute everyone from the cast and crew for being on the same page and being a well-oiled machine despite the hiccups that come with creating a film. It’s an experience that we all won’t forget. And I hope that you all enjoy watching it as much as we enjoyed making it. Why the need to maintain yourself in Pakistani cinema, with your international success? I think it has a lot to do with the true identity I gained when I moved to Canada; here, I was no one. I was a man with no name, nothing. I came for love, started from scratch and built myself up from zero. I think that really gave me faith in the profession and in myself. I have lived all my life in Pakistan. The place where you have lived, grown up, learned and the place where I found my love for acting as well, it has given me so much. I love Canada, and I am a Canadian citizen as well; I call myself a ‘PaCanadian’. Because Pakistan gave me everything that it could, I always wanted to give back with a new set of experiences. Plus, it was a dream of mine, since I saw my dad’s first movie, that Pakistani cinema make a comeback. Finally, it started happening, thanks to some brave people that started doing films again. After the resurgence of Pakistani cinema, I was like, there’s no way that am I going to be left out! Talking to Ali Kazmi made us hopeful – that despite odds, dreams can be achieved if you truly believe in them. He left us in awe – that in a space where his name and background meant so little, his talent and hard work got him success. And finally, he made us proud – that all the international accomplishments did not have this Pakistani forgetting his roots. But … there is a lot more to Ali Kazmi than the actor and the actor’s journey. Look forward to our next feature, in which we get the juice on his love story, as well as growing up as the son of his parents. Rabia founded FUCHSIA in 2013 with the help of a passionate, determined and aspiring team. She holds a Master in Business Administration with a Marketing Major from IBA, Pakistan. 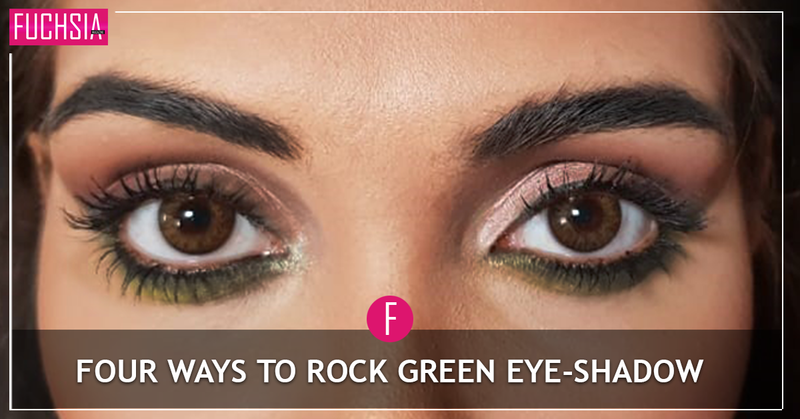 At FUCHSIA, Rabia oversees the Marketing and Public Relations work. She is also part of the Editing Team in conceptualising articles and monthly issues. 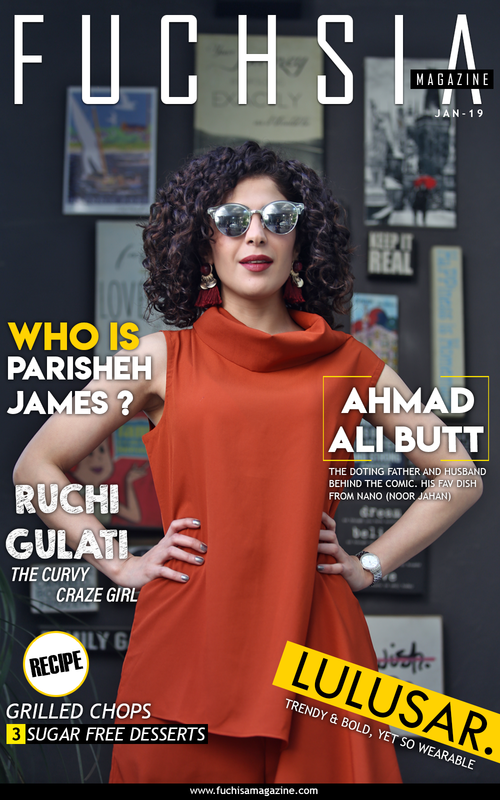 Farah is one of the pioneers of Team FUCHSIA and feels deep pride for her work with the magazine. Her role at FUCHSIA involves the overall coordination of the Fashion segment, and she is also FUCHSIA’s official photographer. Her fashion consultancy and expertise allows her to put together a relevant, informative and interesting Fashion segment monthly, with the support of Team FUCHSIA. She also co-ordinates the logistics of events for FUCHSIA.